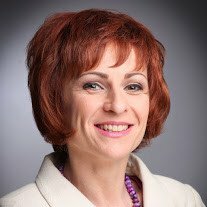 Oxford College of Marketing is delighted to work with Oana Sav of More Marketing Solutions, to provide face to face teaching of CIM and CAM courses in Bucharest with UK based tutors. Our objective is to be able to provide better locally based support for our overseas students though working with a local, experienced professional organisation. If you would like advice on our professional marketing qualifications and how to get started on a distance learning course please email enquiries@oxfordpeg.com and we will arrange for Oana Sav to contact you locally. As part of our admissions process we invite prospective students to meet our Centre Managers. If you live in Bucharest and you are a distance learning student we would like to meet you as well. This gives us time to get to know and understand your training needs, and to make sure you are on the right level course. The meetings usually last approximately 30 minutes and we would be happy to book a slot for you. If any of these dates are not suitable we can ask the Centre Manager to arrange a telephone interview instead. Should you have any queries in the meantime, please do not hesitate to contact us on 037 374-33-77. Our other Weekend Courses, Digital Gateway and Marketing Gateway Programme are held at Integral Programe Educationale, between Marshall, Bd. General Gh. Magheru Nr. 41, Et.1, Ap.1.